I am compiling a series called “Election 2016 Prophecies- Which Are Correct ?” in which I hope to review all the prophecies about the coming election, and events which relate to it. It seems like there are prophecies on the internet for Trump being elected, others say Obama is going to stay in the Office, and even that Hillary will win. Through this process, I hope to gain some better clarity for myself. This is one of many more prophecies I hope to review. In 1933, a man, named William Branham, received 7 major prophecies in 1933 that would involve America. So far, all but 2 have come to pass. The two yet to be fulfilled are about a female ruler, and the last one describes America in chaotic ruin. I have been compiling prophecies that involve dozens of people who all describe a time in America that will be utter terrifying. I have seen themes of cannibalism from children who have seen America’s future. Yes, even children have seen these things. A friend of ours sent us a video. This uncle recorded a small snippet conversation with his nephew where he was consoling his nephew the best he could after this boy saw a very vivid picture of people eating each other in the days to come in America. Another friend of ours also sent us an almost identical dream. He saw a New York tsunami where cannibalism also took place. Since then, I have seen confirmations of this in other prophecies. Why does God show us this? He wants us to be mentally prepared. He wants us to be able to know what is coming, before it happens. He wants His children prepared in all ways to face the times ahead. 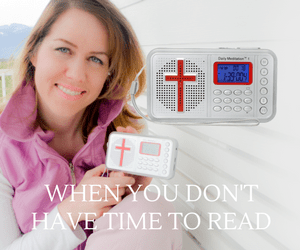 Those prophecies that are circulating around the internet that describe the “best of times to come” certainly to me are clear evidence they are false. In my opinion what I see from these prophecies is that Hillary Clinton wins, (truthfully or fraudulently) and Obama stays in office. We don’t know how long he stays in office, but it appears that many people have seen this. Most of these prophecies that I am looking at also combine additional mentions of America suffering disaster or ruin. That authenticates the other prophecies we have featured on this site with Russia and China invading, along with a tsunami hitting both coastlines, famine, concentration camps, the mark of the beast, UN troops, and starvation. These prophecies seem to line up with what William Branham saw in his vision of 1933. William Marrion Branham was a Christian minister who was born April 6, 1909 and died December 24, 1965. He has been credited with founding the faith healing movement and today is held in high regard. This prophecy has been passed around and around since 1933 if you can imagine, talked about quite often, and speculated upon with the changing of the times. Where this prophecy gets quite interesting is there has been evidence that certain words were ADDED into this prophecy over the years. THREE “The women have been permitted to vote. And in voting, someday they’ll elect the wrong man. FIVE “Science will progress in such a way until they will make a car that will not have to be guided by a steering wheel and the cars will continue to be shaped like an egg until the consummation. SEVEN. “I saw this United States burning like a smolder; rocks had been blown up. And it was burning like a heap of fire in logs or something that just set it afire; and looked as far as I could see and she’d been blown up. My husband and I talked about this prophecy the 2012 presidential campaign of Michele Bachmann, Congresswoman of Minnesota, began in June 2011. Anyone who has seen Michele knows she is a very striking woman. We thought for sure, that she might be the fulfillment of this prophecy. But where this gets interesting is Branham was shown the vision, …but he was NOT sure whether the “Woman” in this vision was a physical woman, or a religious power such as the Catholic Church. He was just trying to put the pieces together. And I said, “Remember, in that day, before the end time comes, before the end time comes, that a woman… Now, you all keep this wrote down. There’ll be a great powerful woman raise up, either be President, or dictator, or some great powerful woman in this United States. And she’ll sink under the influence of women. Now, you remember; that’s THUS SAITH THE LORD. So, here we have the very plain prophecy about the woman. She will be a powerful woman that will be a dictator or a president in the United States. No added mention of a “cruel“, or “clothed in purple”, or “beautiful looking”. The prophecy was written down, so what was seen should have been consistent over time, but it was not. Then there are some mentions that the original notes have been lost. 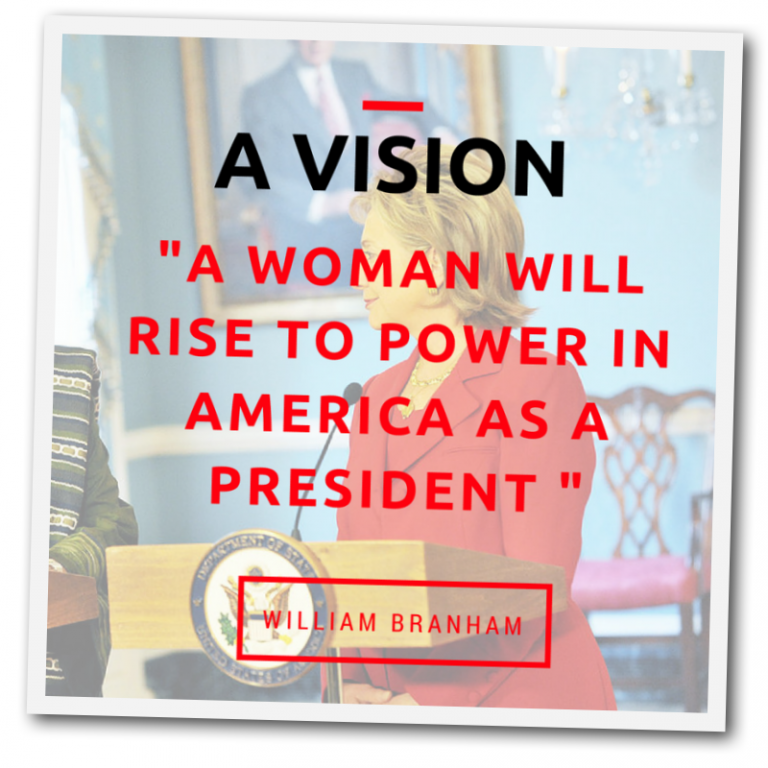 William Branham’s statement that a woman would rise to the American Presidency later changed to women voting in a Catholic president. The great woman became “beautiful and cruel“, and William Branham claimed this was fulfilled with the election of JFK. Later, the woman was “dressed in purple”. In one sermon this was to be followed immediately by the destruction of America. William Branham omitted JFK from the fulfillment of this prophecy after the President was assassinated in November 1963. Perhaps the “beautiful” part was added to speculate about Jackie Kennedy being a fulfillment, who happens to be one of the most beautiful women of all time. Below are some footnotes found on en.believethesign.com/. This website seems to discredit Branham at all angles, but the footnotes taken in the 1950’s happen to strengthen the original prophecy.